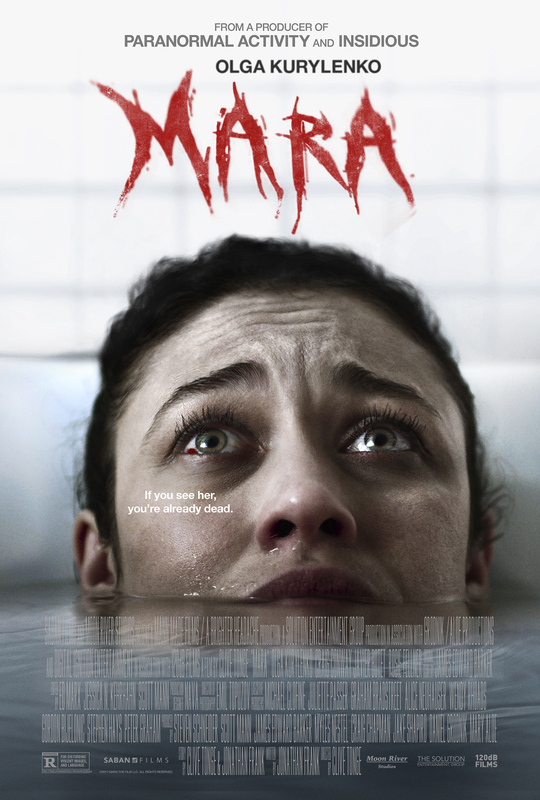 John’s Horror Corner: Mara (2018), a sleep paralysis demon using The Ring’s (2002) playbook and Mama’s (2013) monster choreography. MY CALL: If you really want to see more creatures like Lights Out (2016) and Mama (2013) and you’re feeling adventurous on trying a film with a significant risk of disappointment, then this is it. I felt similarly about Veronica (2017). 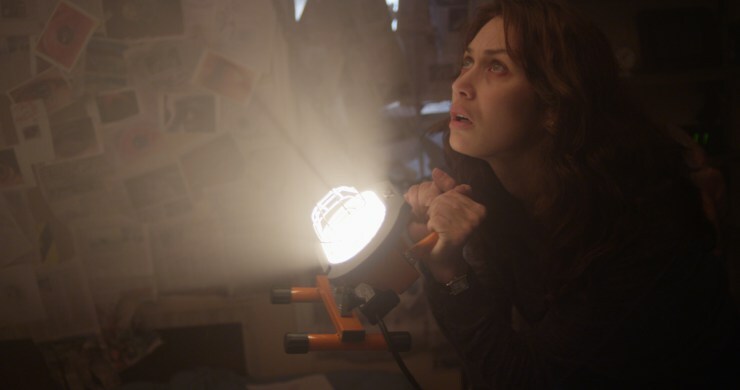 MOVIES LIKE Mara: The concept smacks strongly of things like Shadow People (2012), but the style is much more akin to Lights Out (2016) and Mama (2013). After a man is brutally killed sleeping in bed with his wife (Rosie Fellner; Nine Lives), Dr. Kate Fuller (Olga Kurylenko; Centurion, Oblivion) is the criminal psychologist called to the scene. 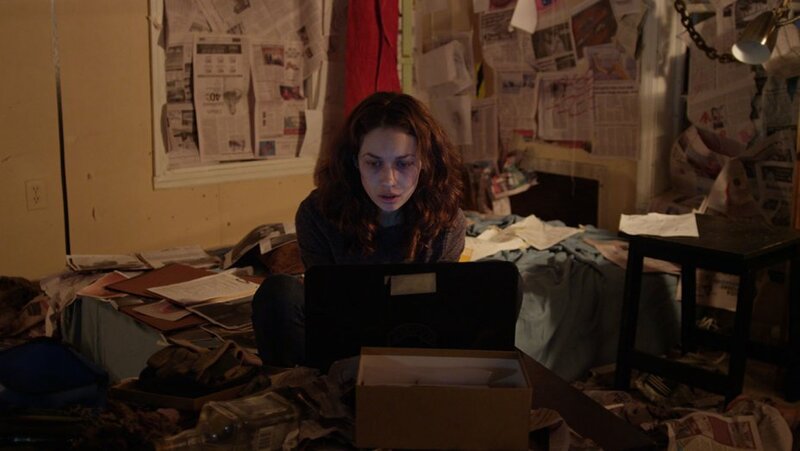 A witness to the death of her father, a young girl indicates to Kate that the killer was named “Mara.” The wife describes symptoms of sleep paralysis and, like her daughter, names the demon Mara as well. So now I just want to know how everyone knows this fiend’s name? We jump into the plot a little too hard and fast, throwing around terms like “sleep demon” in the first 15 minutes and pouring over more melodrama than situations deserve. And, alas, the hyperbolic writing continues throughout the first act leading us to Kate’s attendance of an erratic sleep paralysis support group (led by Mitch Eakins; Evil Bong 1-2) where she meets Dougie (Craig Conway; The Descent, Dog Soldiers), yet another person referring to the exact same murderous demon by the exact same name: Mara. And still, even if one were to find a strong enough correlation to identify a single supernatural killer—where and how did they get this name? Wikipedia? It’s all simply too convenient, and still so early in the film. The set-ups for our sleep demon also feel displaced… almost as if Mara was a common Boogeyman doing whatever things a low budget filmmaker can manage to muster up a scare or a creepy shot. Mara appears under tables or wandering about the kitchen. And that’s all fine for a ghost haunting a venue or a mentally disturbed vagrant. But this is an ancient demon whose power is contingent on you being asleep. So why, WHY would it be skulking under the kitchen table like a gremlin? The victim seeing Mara is paralyzed with sleep paralysis, so there’s surely no reason to hide! This film is clearly calling plays from The Ring’s (2002) playbook. People are exposed to Mara, they are marked (e.g., “seven days” in The Ring), and then they die the next night in their sleep looking something like Samara’s contorted victims. I also find it amusingly similar to name our sleep demon Mara when our phone/videotape demon in The Ring movies was Samara. Mara is played by Javier Botet (It, The Conjuring 2, REC 4, Mama, The Mummy, Crimson Peak), the Spanish Doug Jones. Botet is inexperienced in playing gangly monsters and, for the few scenes that we see much of the demon, he does well with unnatural movements. However, the direction for the demon is weak. Mara strangles her paralyzed victims to death. So, there’s no fight, action or violence to it. Instead the film relies on the creepy movements of the demon as its twitching elongate fingers reach for your throat. Kind of neat once, but exceedingly boring thereafter. As a result, our death scenes largely fall flat. Besides a suicide by immolation, all the other effects are simply seeing Mara walk around in a translucent nightgown. She’s strikingly similar to Mama (2013) to such degree that if you called this Mama 2, the film would be every bit as credible. Many of the Mara shots felt like direct echoes of Mama (2013) and Lights Out (2016). For his first feature film, director Clive Tonge (Emily and the Baba Yaga) showed up and tried. A few scare shots really missed the mark for me, just a few good jump scares, so-so atmosphere—really, I didn’t think this was worth it. The photography is decent, with more great shots being attempted than actually captured. But I recognize and appreciate both the effort and the product. To be fair, there were some very nice shots. The quality was just inconsistent. For a VOD rental, you could probably do a lot worse. But I’m not going to recommend this film. As someone who watches a LOT of horror movies, I don’t necessarily regret this either. And it was nice seeing the callbacks to aforementioned films influencing the present film. So I’ll keep my eye out for Clive Tonge’s next film for sure. ← John’s Horror Corner: Critters 2: The Main Course (1988), the gorier sci-horror comedy creature feature sequel that is somehow NOT rated R.